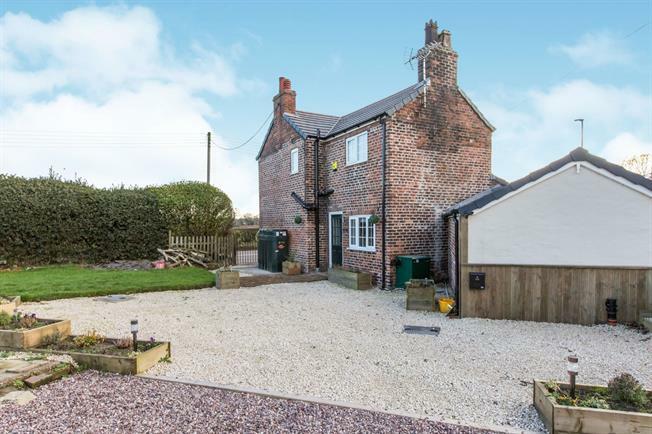 2 Bedroom Detached Cottage For Sale in Sandbach for Offers Over £300,000. Simply stunning two bedroom detached cottage located in the rural location of Arclid a short drive away from Sandbach. This beautiful home offers ample living accommodation and has been recently renovated to a very high standard. The location of the property offers excellent access to the surrounding tows of Sandbach, Holmes Chapel and Congleton and the M6 motorway. The property comprises of spacious reception hallway/diner, family room, lounge kitchen, utility room and WC. To the first floor there are two double bedrooms, master en-suite and separate bathroom. Outside the property there are extensive gardens and off road parking. Call now to book a viewing for this beautiful home.